The most user-friendly email marketing system available today combined with all the latest ROI-boosting features and tools a power-email marketer could need. Accurate and responsive reporting and campaign analysis tools and charts, to help you drill deep for in-depth information about your target audience. No need to splash out on extra Survey and Microsite builder tools, these two vital ingredients to your campaign come as standard with your BrotherMailer product. You'll have a dedicated account manager that will be on hand to offer guidance and support, so you get unbeatable client support, great features and flexible pricing. The BrotherMailer platform and consultative staff ensure your email marketing build, sending and reporting is as simple and effective as it can be. Whether you're completely new to email marketing or a seasoned pro, we can have you set up in moments and enjoying the well documented benefits of email marketing in the most efficient way possible. With offices in the UK, France and Spain we are well set up to support any level of global email delivery. Set up a free trial account today, download our quick start user guide, or get in touch for hassle free consultative advice on the application or integration of BrotherMailer within any environment. We promise not to pester with sales calls and to treat all enquirys confidentially. BrotherMailer is an email marketing company that will be able to help you with all of your marketing needs. We have a great range of services meaning that we can help you with email marketing uk whatever your budget. 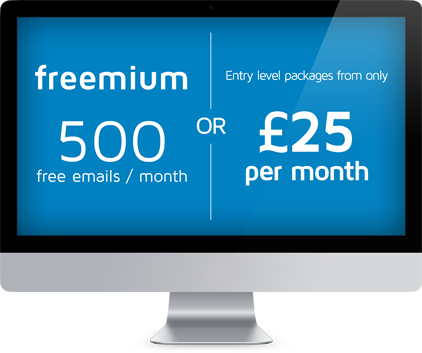 We can provide bespoke mass email marketing solutions for any company. It does not matter what size you are or what budget you have, our software solution should suit you. In order to help you get started, we are prepared to give you a free 30 day trial. This will give you the opportunity to try out our bulk emailing software and find out whether it is the right solution for your company. You do not even have to provide your card details to take advantage of this great offer, just sign up for free. You can start right away, choosing a template from our great selection within our email marketing software and you can then send them out. It is possible to track the emails to find out where in the world they are going and whether or not they have been opened. You can also design a splash page which means that when the links in the emails are followed, the readers appear at a page that is targeted especially for them. All within the mass email software, making everything really easy for you. It is a powerful bulk mailing software system, that allows you to control your email marketing really easily. You will be able to design the email, inserting your logo and anything else you wish before sending it off. You will then be able to track where in the world the emails have been opened and even design a splash page for them to visit so that you can target them directly. This is a great tool, which should help you to make the best possible email marketing campaign meaning that you make the most of your bulk mailing software. It is really important to make sure that any money that you spend on marketing is not wasted. This means that you will need to find the best possible email marketing solution. As this software is flexible, easy to use and offers a free trial, you have nothing to lose. It is well worth a try in order to find out whether you think this will be the perfect solution for your company and its mass email software needs. From knowing how many people are opening your emails, to how they’re reading them measurement is an important aspect to any online marketing campaign. BrotherMailer’s email marketing software makes it easy for you to measure the effectiveness of your campaign, determine areas for improvement and provide reports. The geo-mapping feature shows you your best prospects at a glance making reporting even easier. In depth analysis comes as standard with our software. Our software is under consistent development to bring more and more features to the platform. With more features comes more benefits allowing you to more accurately segment data, analyse and build your email marketing campaign. Our software is integrated with Facebook, Twiter, LinkedIn, SalesForce, Microsoft Dynamics and Google Analytics to give you as much functionality as you need. Our interface reflects that of common document editing suites you are most likely used to using day in and day out. So, delving into your campaign with our mass email software is going to be easy, quick and simple. From building your emails to sending the campaign through to reporting on its success it couldn’t be easier. Intuitive navigation, logical labeling and much more helps you find your way around the platform instantly. Your most trusted assets are your customers and prospects. Our feature rich platform means you benefit from complete security, technical excellence, support and legal compliance which are all important when dealing with people’s personal details such as email addresses. You can be confident that wherever you’re email newsletter is going our professional email communication software has everything you need. To send a successful email newsletter or campaign you need to have excellent intelligence to work from. The BrotherMailer platform gives you this. Contact management is simple and intuitive allowing you to scale and amend lists easily. Triggered email sends, dynamic content delivery, mass email software and segmentation compliment your intelligence gathering giving you all the information you need when you need it. Combine that with our API capability and you’ll find everything you require to build that successful, lead generating marketing campaign.